Documenting a real-life event in a fictional film is a real challenge, especially when it’s such a recent moment. The 2008 shooting of 22-year-old Oscar Grant by police in Oakland, California received national attention, so recreating the shooting isn’t enough. We need to see a unique perspective that gives more than the tragic side. Who was this guy? Does his story deserve attention when you go beyond his death? That’s the question that lingers around Ryan Coogler’s Fruitvale Station, which depicts the final day of Grant’s life. He goes about his day with no idea that his minutes are numbered. The audience has knowledge that Grant doesn’t possess, and that adds a portent to scenes that are fairly typical. When his mom tells him to take the train, she unknowingly sets the stage for the disaster. The question is whether moments like these really help with understanding Grant. There’s a risk in trying too hard to create a sense of foreboding when none should truly exist. Grant is played by Michael B. Jordan, a rising star who made his name in shows like The Wire and Friday Night Lights and films like Chronicle. His performance drives the story and keeps us engaged because he doesn’t overdo the drama. Grant is just going through another day where he tries to get his job back and keep his girls happy. Coogler seems intent on showing that he isn’t a saint and doesn’t take much responsibility. His moves aren’t evil but can still do harm to his family if he isn’t careful. The conversation with his former boss tells us plenty about Grant’s outlook. Telling a guy that fired you that you’ll work hard rarely works, and threatening him is a terrible idea. Jordan brings humanity to Grant that isn’t on the page. A less charismatic actor would struggle to keep us on his side. Despite Jordan’s success, there are scenes that veer into less subtle territory. At a gas station, Grant is a friendly with a dog. Moments later, the same dog is hit by a car. Watching him comfort the wounded animal is a blatant connection to his fate. It’s also a transparent way to connect us to Grant because he likes dogs. It’s a fairly brief scene, yet it leaves just the wrong impression in a movie designed to be natural. Coogler veers away from this approach several times, and those detours limit the effectiveness. 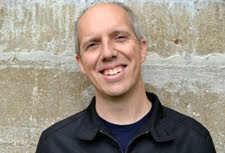 They aren’t fatal issues, and the main reason is the work from Jordan and other actors. Octavia Spencer brings depth to Grant’s mom, and her presence adds more than what’s written. 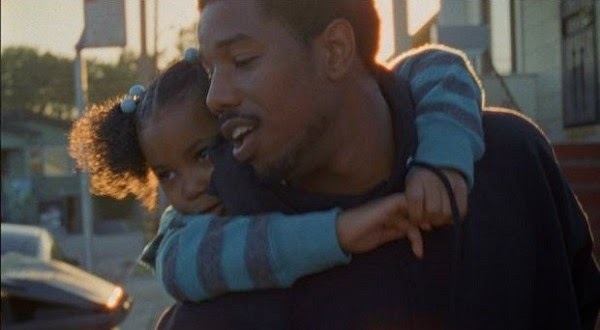 Fruitvale Station is more interesting as a portrait of a young man than as a dissection of a tragic figure. The final act feels inevitable and is sad, yet it’s the least interesting part. The cops are one-dimensional guys high on adrenaline that overreact to a tricky situation. Kevin Durand (Lost) is the right man to play the tough officer. Is there any way for this guy not to look imposing? His face exudes menace towards anyone that stands up to his power. The joyous scenes on the train prior to the mess set it up well and convey the excitement of a night on the town. I’ve yet to mention Melonie Diaz as Sophina, who has the difficult task of being an obstacle for Grant. Even so, it’s clear that there’s love between the characters. We have to remember that they’re still really young and dealing with situations well beyond their years. They’re just hoping for a fun night out on the last day of the year. I’ve spent a good amount of this piece harping on the issues with this film. Despite these concerns, it’s still an engaging debut from the 28-year-old writer/director. Coogler shows a lot of talent in conveying tricky material that could have easily drifted in more sentimental territory. There are scenes that connect too much to the ending, but the overall mood is right. We’re following around a guy who makes mistakes and isn’t perfect yet hardly deserves such a tragic end (who does?). 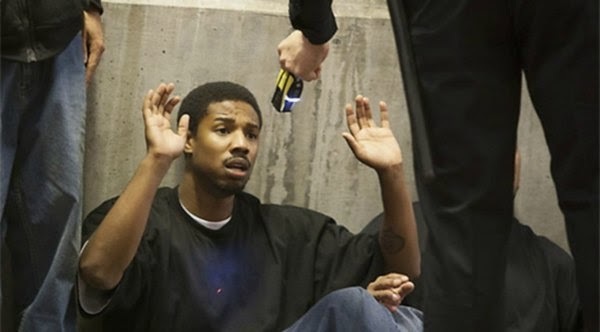 Fruitvale Station is most notable for the arrival of Coogler and Jordan, who have very promising careers. I can’t wait to see where they go next, and their potential to shine is sky high after this interesting project. I'm pretty much with you 100% on this one. It's an interesting movie, and the greatness it has lies in Michael B. Jordan. He does fantastic with the role, and we see someone who is human. He's a good man overall, but definitely has his anger and flaws. But I also agree that sometimes it gets a bit much in the symbolism and/or foreshadowing, like with the dog. It's otherwise a well-made and greatly well-acted film that I'll probably never watch again. Nick, the acting definitely lifts this movie higher than it could be. I'd seen Jordan in Chronicle and heard raves about this performance, and it definitely lived up to expectations. I think he has a big-time career in front of him. Great review here, Dan. The dog scene really is the enigma of the entire film. It has been justly criticized and called out by a great many people. I even read an interview with Coogler who admitted to making the scene up as a way of having the audience sympathize with Oscar. I personally didn't have a problem with the scene, but the film would easily work without it. But maybe Coogler didn't want to deliver an 80 minute film... who knows? Alex, the point of the scene makes sense. I just wish it wasn't as blatant. Even so, I did still like the movie. There were just some moments where it felt like a stretch or too on the nose to make us connect with Oscar. Thanks!